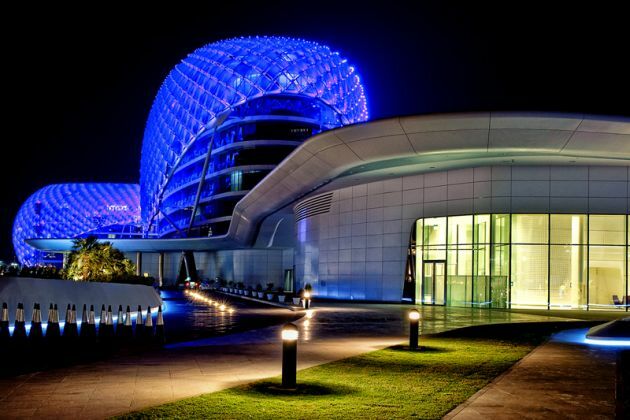 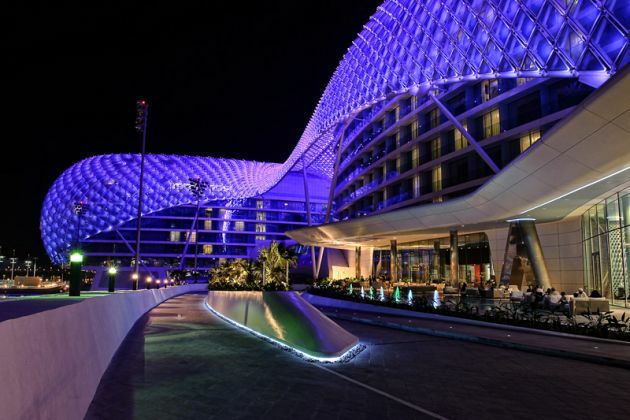 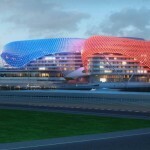 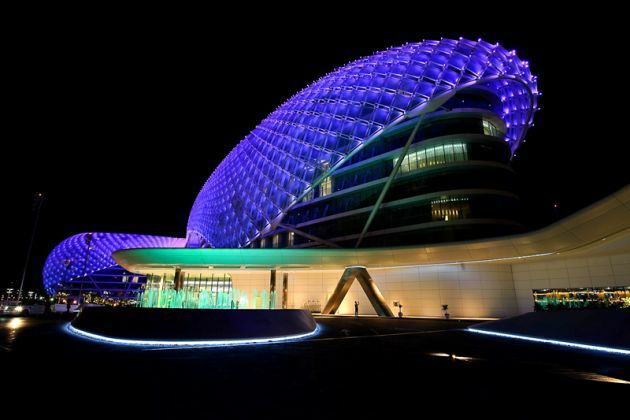 The YAS Hotel in Abu Dhabi was recently completed, and its curvilinear grid-shell which is covered with over 5,300 diamond-shaped steel panels, containing nearly 5000 LED fixtures is being announced as the world’s largest LED project controlled through RDM (Remote Device Management). 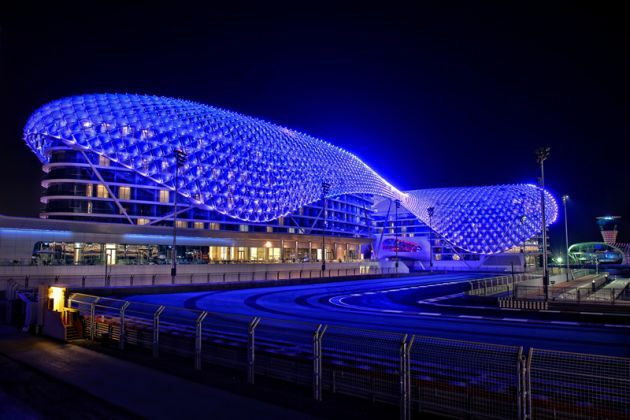 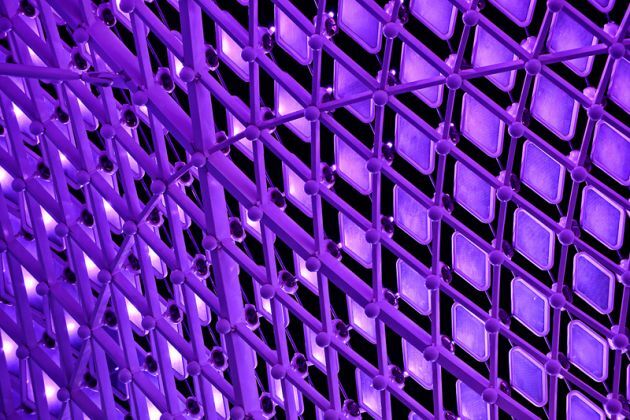 New York based lighting designers Arup Lighting worked with Germany based e:cue lighting control to create lighting effects such as color-changing light sequences, and to play customized three dimensional low-resolution video content, on the grid-shell. 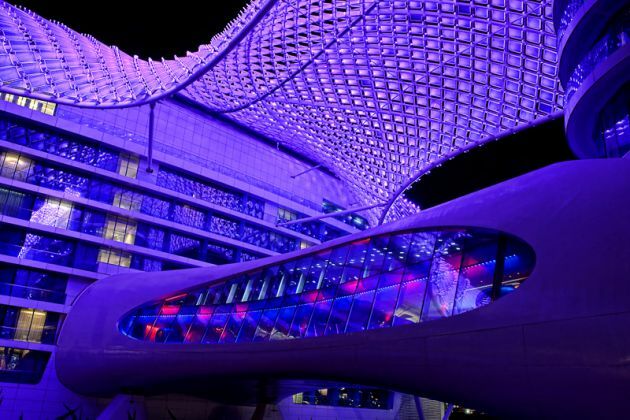 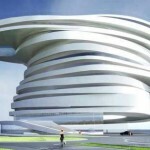 The building was designed by Asymptote Architecture, we previously featured the Yas Hotel back in May, click here to read that post. 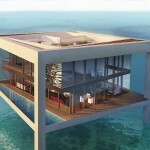 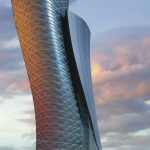 Capital Gate – World’s Most Inclined Tower?